This post is now 2.5 years old, and neither MongoDB nor Kubernetes have been standing still! In particular, Kubernetes has introduced StatefulSets and we've introduced the MongoDB Enterprise Operator for Kubernetes. Both of these capabilities make working with MongoDB in Kubernetes much simpler and more robust. 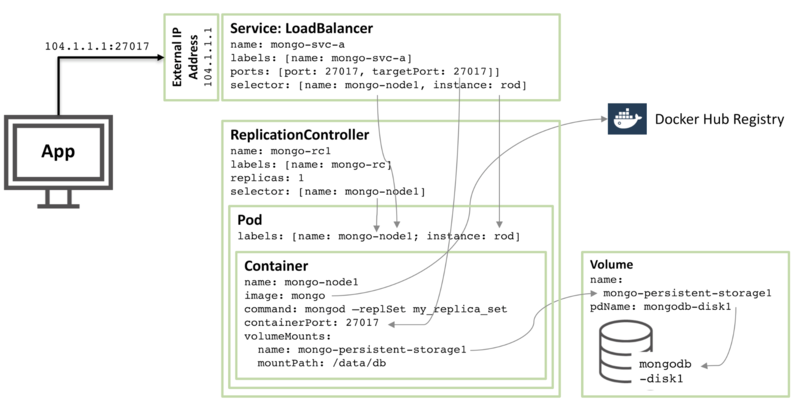 Read this post for the state-of-the-art in running MongoDB in Kubernetes. Want to try out MongoDB on your laptop? Execute a single command and you have a lightweight, self-contained sandbox; another command removes all traces when you're done. Read the Enabling Microservices: Containers & Orchestration Explained white paper. 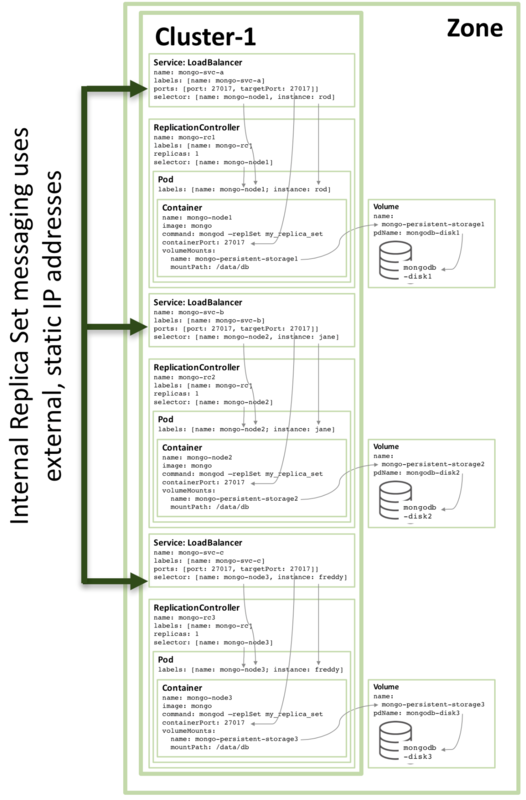 MongoDB database nodes are stateful. In the event that a container fails, and is rescheduled, it's undesirable for the data to be lost (it could be recovered from other nodes in the replica set, but that takes time). To solve this, features such as the Volume abstraction in Kubernetes can be used to map what would otherwise be an ephemeral MongoDB data directory in the container to a persistent location where the data survives container failure and rescheduling. If the orchestration framework provides automated rescheduling of containers (as Kubernetes does) then this can increase MongoDB's resiliency since a failed replica set member can be automatically recreated, thus restoring full redundancy levels without human intervention. It should be noted that while the orchestration framework might monitor the state of the containers, it is unlikely to monitor the applications running within the containers, or backup their data. That means it's important to use a strong monitoring and backup solution such as MongoDB Cloud Manager, included with MongoDB Enterprise Advanced and MongoDB Professional. Consider creating your own image that contains both your preferred version of MongoDB and the MongoDB Automation Agent. We start by creating the entire MongoDB replica set in a single Kubernetes cluster (which would normally be within a single data center – that clearly doesn't provide geographic redundancy). In reality, little has to be changed to run across multiple clusters and those steps are described later. Each member of the replica set will be run as its own pod with a service exposing an external IP address and port. This 'fixed' IP address is important as both external applications and other replica set members can rely on it remaining constant in the event that a pod is rescheduled. The LoadBalancer service named mongo-svc-a exposes an IP address to the outside world together with the port of 27017 which is mapped to the same port number in the container. The service identifies the correct pod using a selector that matches the pod's labels. That external IP address and port will be used by both an application and for communication between the replica set members. There are also local IP addresses for each container, but those change when containers are moved or restarted, and so aren't of use for the replica set.